If you can name ten roots reggae instrumentals (or “riddims,” as they are called in reggae culture) made after 1979, it is almost certain that nearly eight of those ten instrumentals have origins in Sir Coxsone Dodd’s Studio One recording studio. To say that Studio One “laid the foundation” for roots reggae from the early 1970’s to the present is an understatement. In fact, Studio One instrumentals single-handedly created a basic, musical composition—a formula, if you will—for roots reggae spanning over four decades. Studio One was the first black-owned recording studio in Jamaica. It opened its doors at 13 Brentford Road in Kingston in 1963. Studio One founder, Sir Clement “Coxsone” Dodd was obsessed with a key ingredient for his new recording studio in 1963 that would revolutionize the soul of reggae music. That ingredient was the instrumental (Definition: A musical composition played by an instrument or group of instruments). Dodd was greatly influenced by the way reggae instrumentals dictated the quality of early reggae’s sound. As such, Dodd lodged his focus on forming an in-house band that could create the greatest, most memorable reggae instrumentals in reggae history. In order to attract the most talented musicians locally and abroad, every Sunday evening Dodd tirelessly held auditions at the Brentford Road studio in its early years and accomplished two incredible feats as a result. First, Dodd discovered and began recording a little-known local teenager named Robert “Bob” Nesta Marley, and Marley’s two friends, Peter Tosh, and Bunny Livingston (“Bunny Wailer”). Apparently, those three kids turned out to be mildly talented and each went on to have fruitful musical careers—particularly, that “Bob” kid. Second, Dodd had concocted what he thought to be the best collection of musicians for his purposes. 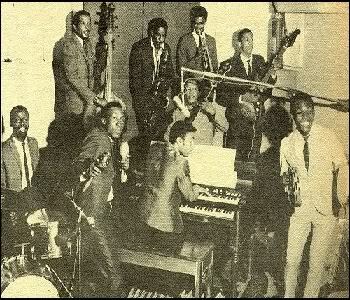 Dodd’s conglomerate of musicians would later be dubbed the “Soul Vendors,” also known as “Sound Dimension” or “The Brentford All-Stars.” Dodd made sure that the Soul Vendors placed a major emphasis on sounds and sound patterns that appealed to the unique tastes of reggae lovers—bass, horns and a “one-drop” tempo. One literally could spend hundreds of pages explaining the fundamental importance that Studio One’s music had on forty years worth of reggae music; however, the point can be proven using much simpler means. Thus, when you are finished reading this sentence, go to YouTube and let us know if you have heard (or if you recognize) any of the following Soul Vendors songs/instrumentals: Real Rock, Heavenless, Rockfort Rock, Love Bump, Answer, Swing Easy, Darker Shade of Black, Death in the Arena, or Skylarking. If you can recognize these songs or instrumentals, it is because they are at the root of about 100 of the most popular reggae songs of all time. Fact! So, the next time you reggae enthusiasts hum your favorite reggae tune or nod your head to a mellow roots reggae beat, be aware that it likely is a descendant of Studio One.